In a 8″ castiron skillet, cook the bacon until crispy. Remove the bacon, but leave the fat behind. Set the bacon aside. In a blender, combine the tomatoes, garlic, and basil leaves. Blend until smooth, add ¼ tsp salt, and pour into the skillet with the bacon fat. 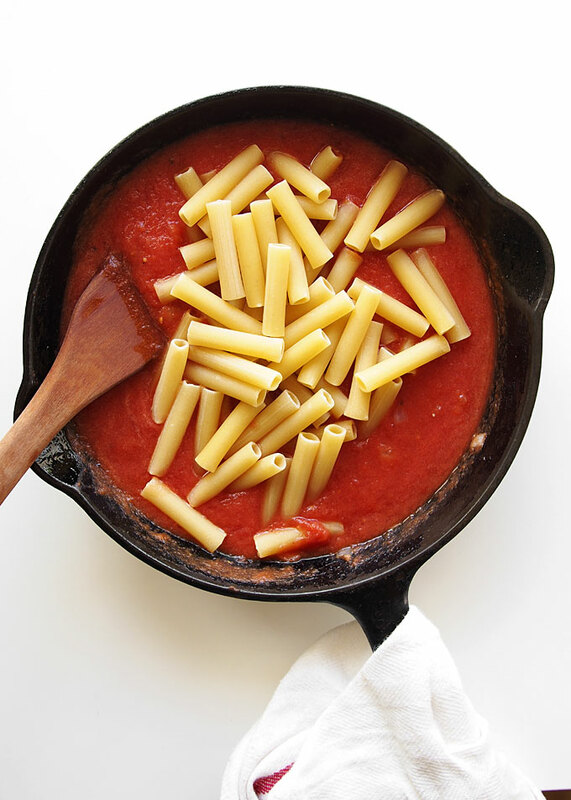 Bring the tomato sauce to a simmer, lower the heat, and add the dry pasta. Stir to coat. Let the tomato sauce simmer, stirring occasionally, until the pasta is al dente. This should take around 25 minutes. When the pasta is done, stir in the bacon, as well as salt & pepper for seasoning. 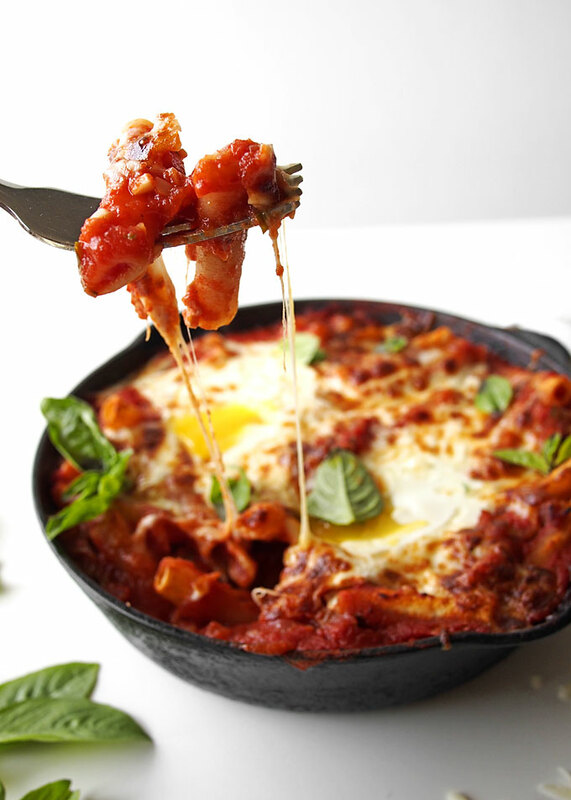 Make divots in the pasta for the eggs, and crack one egg into each divot. Sprinkle the grated cheese over the entire thing, and broil on the top rack of the oven for 4-6 minutes. The eggs should be set, and the cheese should be bubbling and brown.